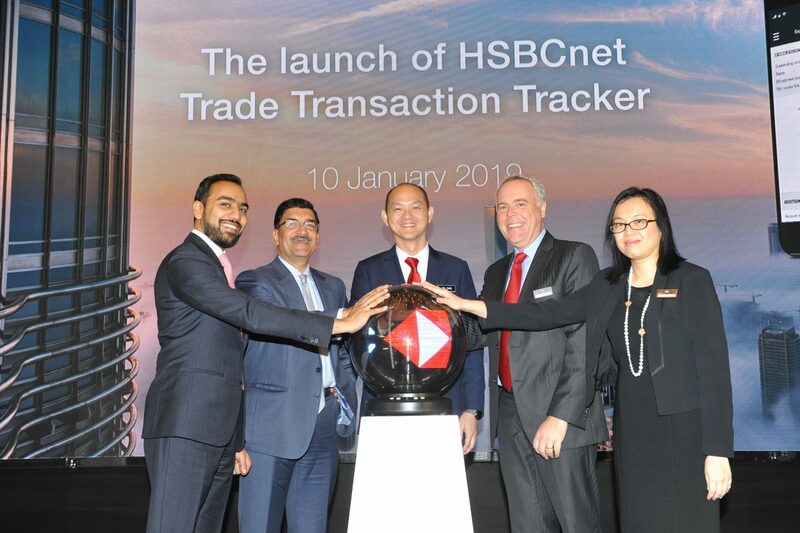 HSBC Malaysia today launched the HSBCnet Trade Transaction Tracker, a pre-logon service in the HSBCnet Mobile app for customer to track the real-time status of trade transactions more quickly and easily. The innovative new mobile banking app that puts exporters and importers in Malaysia at the leading edge of digital capabilities in tracking international trade transactions, is the first of its kind in Malaysia. “Entrepreneurs and managers use mobile phones to run international businesses today and we know how important it is for them to keep track of their transactions along the supply chain in order to maintain their competitiveness. The HSBCnet Trade Transaaction Tracker meets our customers’ expectations for mobile banking and their need for real time, global information. It will provide them with a real-time view of their import and export documentary credits, collections, guarantees and trade loans across markets and countries worldwide in one single app,” added Andrew. The service is available to all trade customers registered for Instant@advice and no HSBCnet registration is required. Customers using iPhones or Android Services can download the latest version of the HSBCnet Mobile app from the Apple Store or Google Play. To set up, customers can click on HSBCnet Trade Transaction Tracker and enter their HSBC Trade Account number, Instant@dvice email address and Bill or Documentary Credit (DC) reference number. Then enter the confirmation code which is sent to the Instant@dvice email address. Once the registration is set up successfully, customers can view the status of transactions e.g. “Issued”, “Amended”, “Accepted”, “Paid” and so on. HSBC is committed to driving innovation to meet customers’ changing demands. 2018 was the year where we demonstrated that blockchain as a solution for trade digitisation, is operationally and commercially viable. The setup of Voltron, the integration of e-Bills of Ladings (eBLs), connecting eTradeConnect (HK) and We.Trade (Europe), along with We.Trade’s rollout ambitionin Europe shows HSBC’s enthusiasm and commitment to trade digitisation. In Malaysia, corporates can submit trade transaction application via HSBCnet – Internet Trade Services (ITS) modules. In addition, corporates can also connect to HSBC using tailored SWIFT-for-Corporates solution to transact. The HSBCnet Trade Transaction Tracker will complement and enhance our current digital capabilities.